The President conferred the rank for General Thapa's "commendable military prowess and immeasurable contribution in fostering Nepal's long and friendly association with India". NEW DELHI: President Ram Nath Kovind on Saturday conferred the honorary rank of 'General of the Indian Army on General Purna Chandra Thapa, chief of the Nepalese army at a special investiture ceremony held at Rashtrapati Bhavan. The President conferred the rank for General Thapa's "commendable military prowess and immeasurable contribution in fostering Nepal's long and friendly association with India", an official release said. 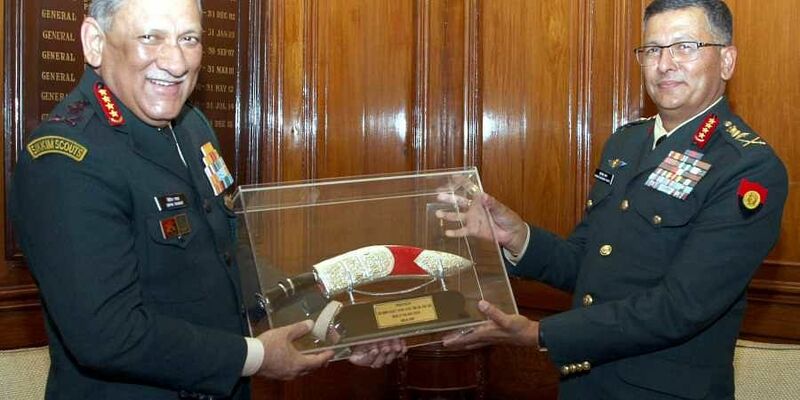 General Thapa also called on Indian Army chief General Bipin Rawat, who presented him a memento. Earlier, General Thapa laid a wreath at Amar Jawan Jyoti and inspected a guard of honour at South Block.